Basic Amateur Ham Radio Course is scheduled for September 17 Start, 2018. Registration for the September CARA Basic Amateur Radio Class is Now Closed and the Class is now full. Look for the next scheduled Basic Class For Tentative September 2019 and Advanced Class Tentative January 2019. Watch CARA Website for upcoming details. The Canadian Amateur Radio Basic Qualification Study Guide must be purchased in Advance for the course. Radio World Calgary Ph. (403) 239 - 1400). Start Date: Starting September 17, 2018. Duration: Monday evenings for 14 weeks (14 evenings total). Note: Tuition includes photocopied course materials ($15.00 value), and Basic Qualification test by accredited examiner (would cost $20 if test taken at Industry Canada). 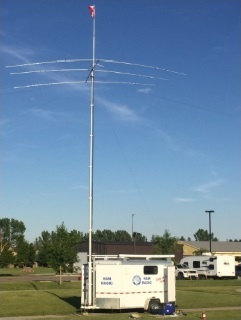 The test is 100 multiple choice questions covering Radio electronics and setup of Amateur Station and Repeaters, Operating Modes, Antennas, Operating practices, and theory. The pass mark is 70% for Basic Qualification. 80% or better grants Basic+ Certificate Operator. There is a "Practice Exam Generator" software program that can be downloaded from the Industry Canada web site at http://strategis.ic.gc.ca/radioamateur.e This will give you an idea of what to expect. "What if I have to miss some classes?" Depending on your dedication to catch up on missed material, you can miss a few classes, and still comfortably pass the exam. You will receive a course outline and there is some reading to be done between classes and "homework" (assigned questions from the exam bank). So, making it to every class is not as important as keeping up with the material. If you should need to drop out for any reason, your course fee covers you for any future CARA Advanced course scheduled. 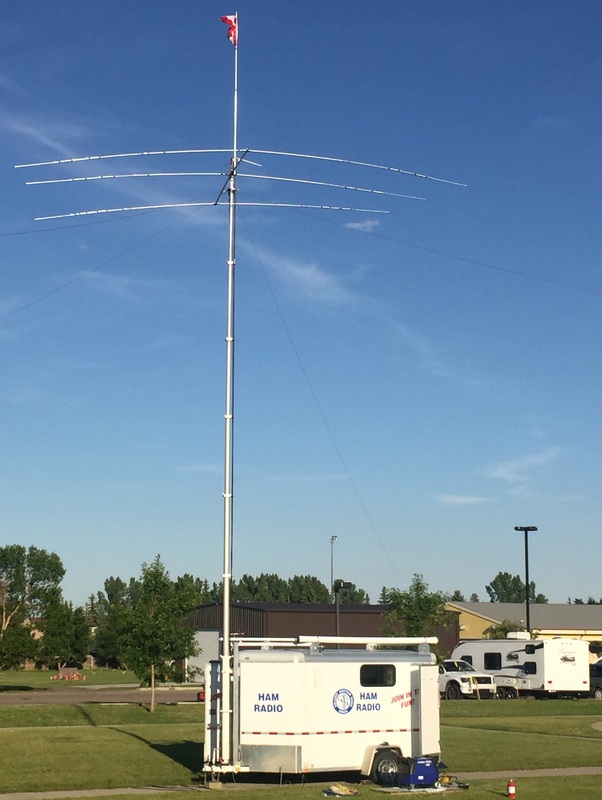 Advanced Amateur Ham Radio Course is tentatively scheduled for January 14 Start, 2019. You can register the night of the class and payment can be made by cash or cheque. Note: Tuition includes photocopied course materials ($15.00 value), and Advanced Qualification test by accredited examiner (would cost $20 if test taken at Industry Canada). The pass mark is 70% for Advanced Qualification. There is a "Practice Exam Generator" software program that can be accessed from the ISED web site at http://www.ic.gc.ca/eic/site/025.nsf/eng/h_00040.html. This will give you an idea what to expect. The Advanced qualification is a technical upgrade with a deeper look at radio, electronics and advanced amateur modes. The class will involve demos and hands-on where possible. A collaborative model is followed with expoert peer presentations. Student participation is expected both in questions and lessons. Good attendance and reading/study between classes are needed to be successful. If you do not complete the course, your course fee covers you for any future CARA advanced course.